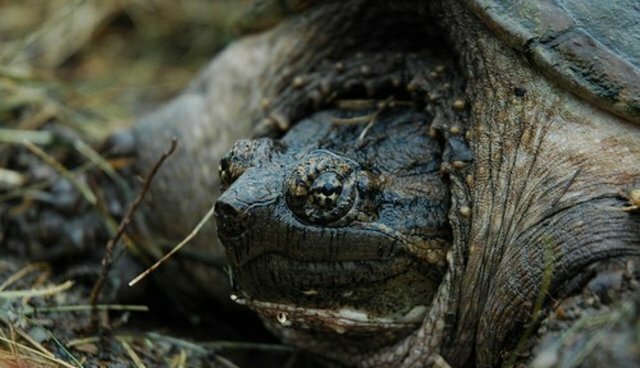 When an injured and abandoned snapping turtle, Mama Kohl, was found in a trashcan near a mall in Westland, Mich., she had a broken jaw and other severe injuries, CBS Detroit reports. 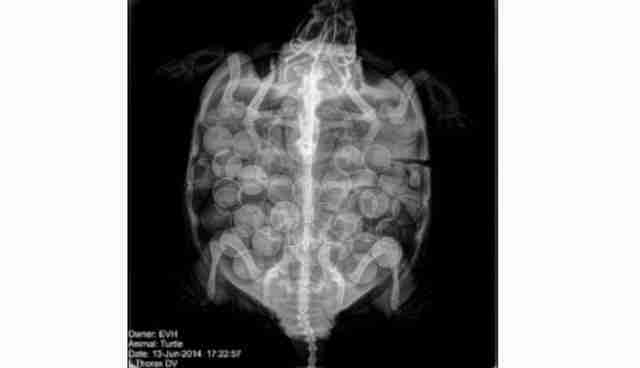 Upon her arrival to the Emergency Veterinary Hospital of Ann Arbor, veterinarians performed an x-ray to assess the injuries and found something completely unexpected: the snapping turtle was pregnant. Ann Arbor veterinarian Lindsay Ruland tried valiantly to save Mama Kohl, wiring the turtle's shattered beak and grafting bone over the injuries. During surgery, Mama Kohl was gentle, which is uncharacteristic for a species known for its powerful bite. She even refrained from snapping at the vets. "She was such a trooper," Ruland said. Unfortunately, Mama Kohl didn't make it through the trauma, but she did give birth to 51 waggling turtle embryos. They'll stay at a warm 85 degrees under a glass incubator until they hatch. 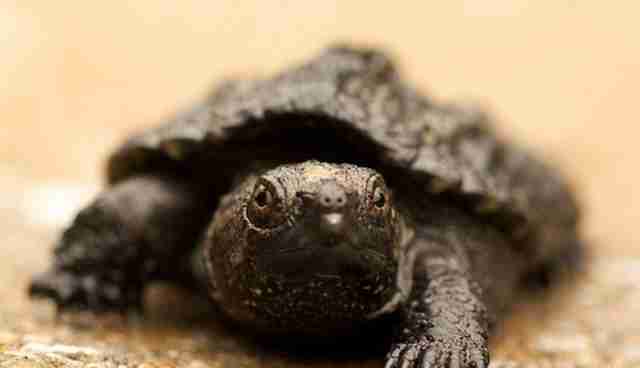 After that, Mama Kohl's orphaned baby turtles will be released into various ponds. Ruland has already picked out which egg she'll release back into the wild. "Number 17," she said, "that's my egg and it's usually very cooperative."